The original OVA, which I have on VHS only (and dubbed at that), was the first real series I acquired in its entirety. It's also one of those where you're likely to remember it as better than it really was. Now, I can't help but notice repetitive music, choppy animation, excessive use of stills, etc. The TV series is a bit better, though the Omake, while fun, felt out of place in how childish it was. The OVA series made for this was an epic masterpiece, from the great OP & ED songs, the characters, the artwork, the story, and the whole package. 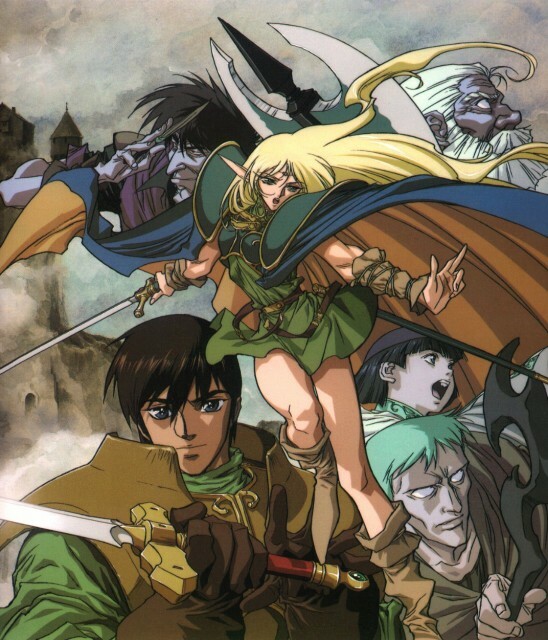 This is by far the best fantasy anime ever made, if it had been made to an actual anime series, Langrisser would've been a great choice to accompany Lodoss. The choice of VA's was a fantastic choice as well, from legends like Akira Kamiya and Shuuichi Ikeda to the wonderfully talented Yumi Touma whom was a fledgling seiyuu at that time, was a great choice to portray the role of Deedlit. I'm disappointed the TV series didn't use the OVA seiyuu for the characters, so I'll probably not watch it, I'm sure it won't have the same impact the OVA did. The Legend of Crystania series centered on Pirotess could've had better animation, it looks bad. So my score is based only around the OVA. Very good Anime, a must-see for everyone who likes Fantasy ;) Both the OVA and the TV-Series are lovely, and there are some really cool characters in this Anime. My favourite characters are Pirotess, Ashram, Orson and Spark.